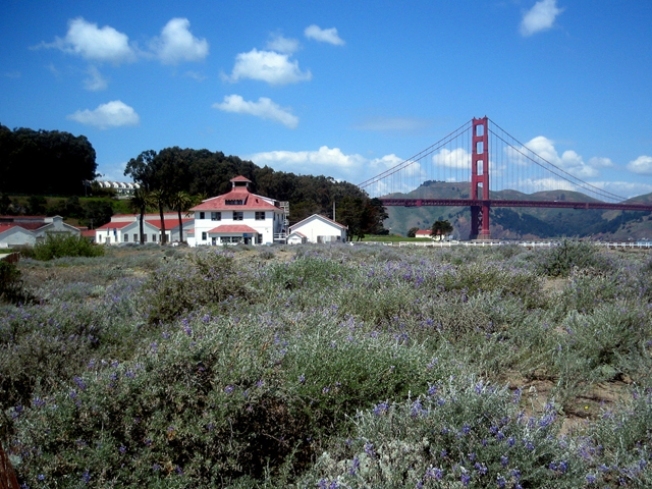 A plan to open a winery in an old hangar at Crissy Field has been taken off the drawing board. Dreams of a winery in San Francisco's Presidio have been put on hold. A plan by former Geyser Peak winemaker Daryl Groom to open a 8,000-case working winery, a tasting room and a 120-seat restaurant in a former airplane hangar near the base of the Golden Gate Bridge in Crissy Field was derailed by traffic concerns, the Santa Rosa Press Democrat reported. “When it came right down to it, there were just too many concerns about traffic and parking with that location in Crissy Field,” Joyce Stavert, project general manager, told the paper. The Presidio Trust, which manages the transition of the former military base for civilian use, wants the area to be used for recreational purposes similar to other projects in the area, such as a children’s gym and swim school. Stavert said the winery will search for another location in the City.